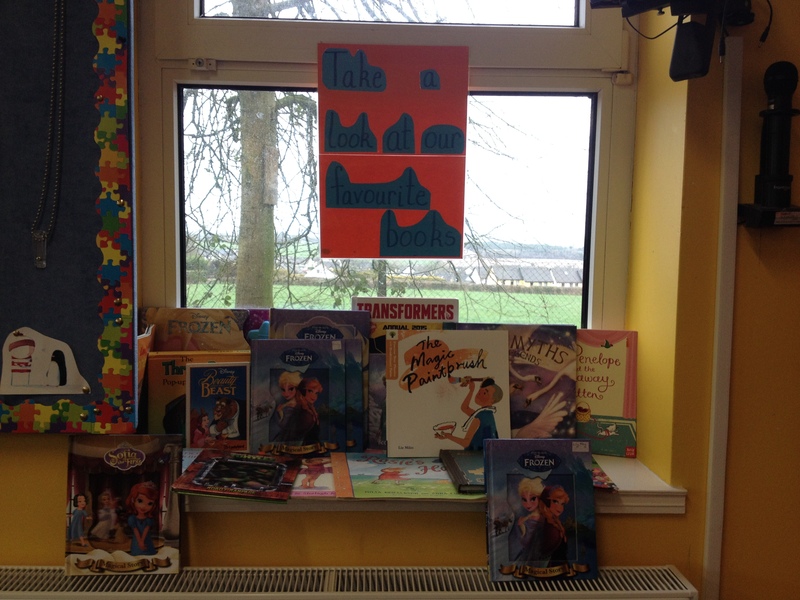 World Book Day was on Thursday, March 5th 2015. 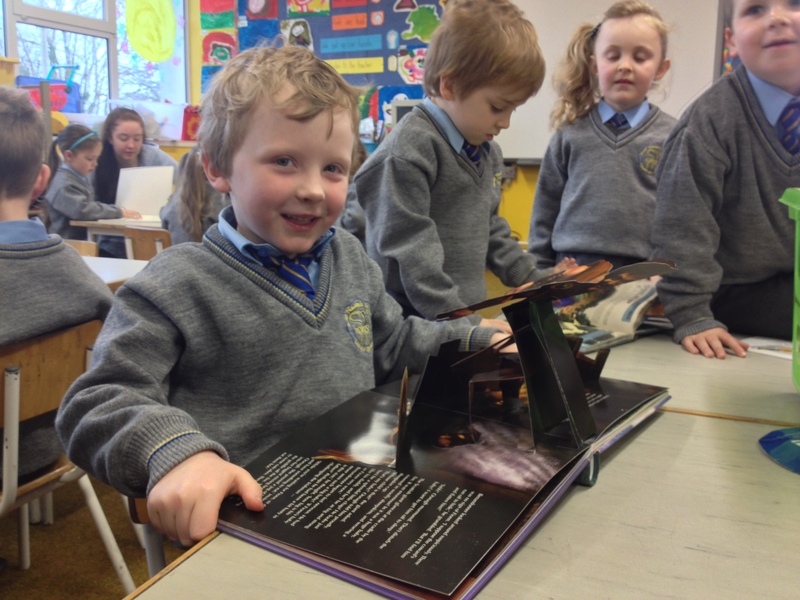 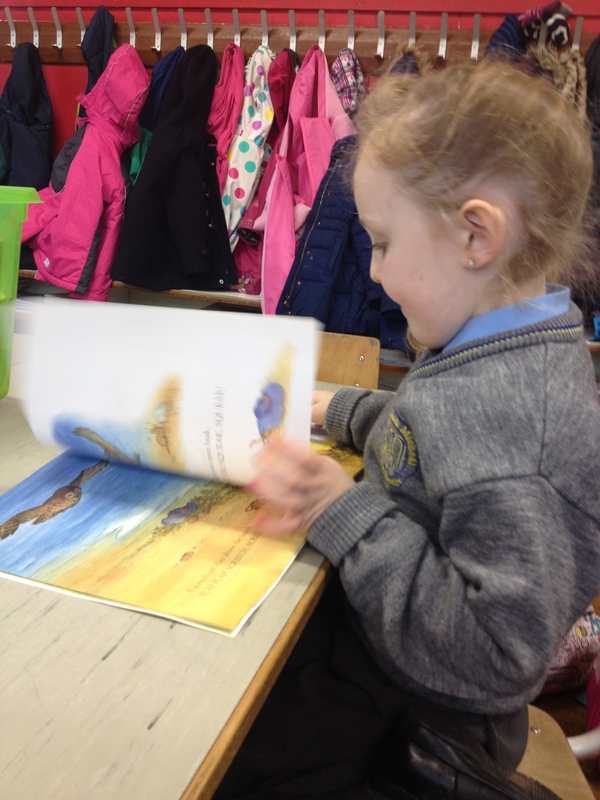 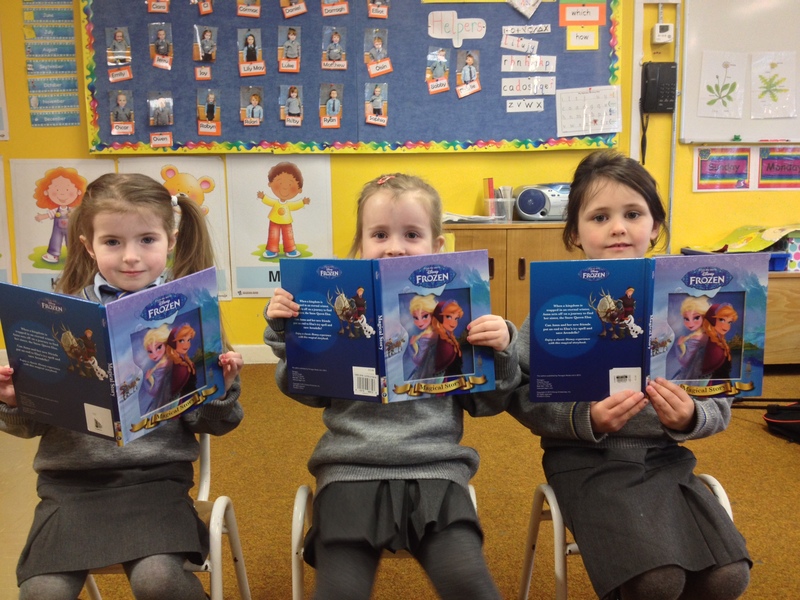 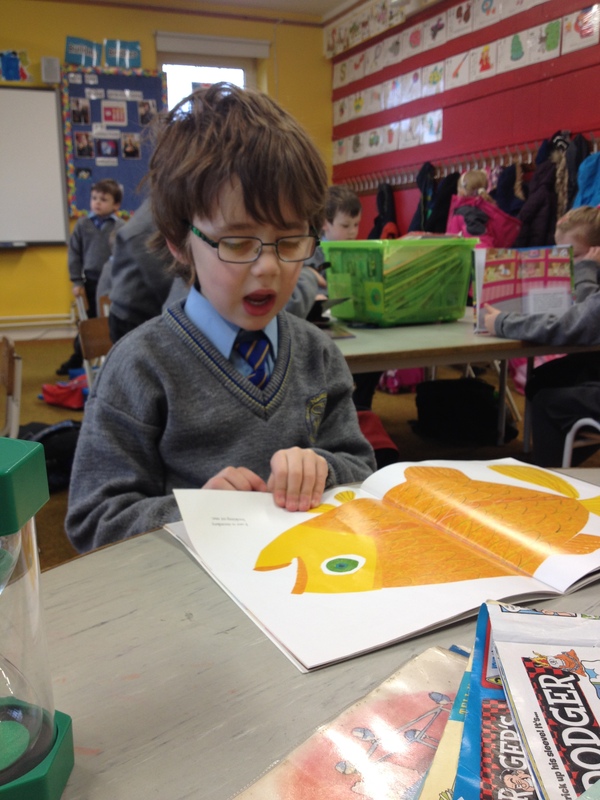 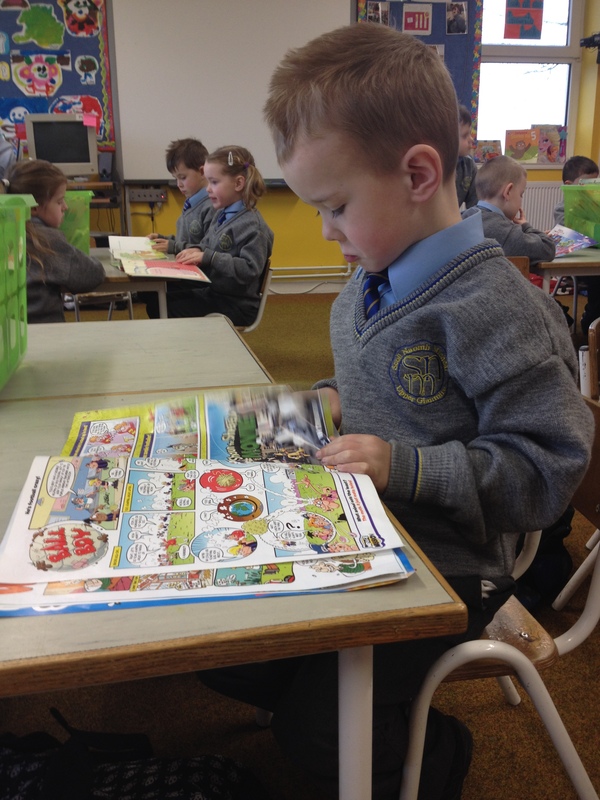 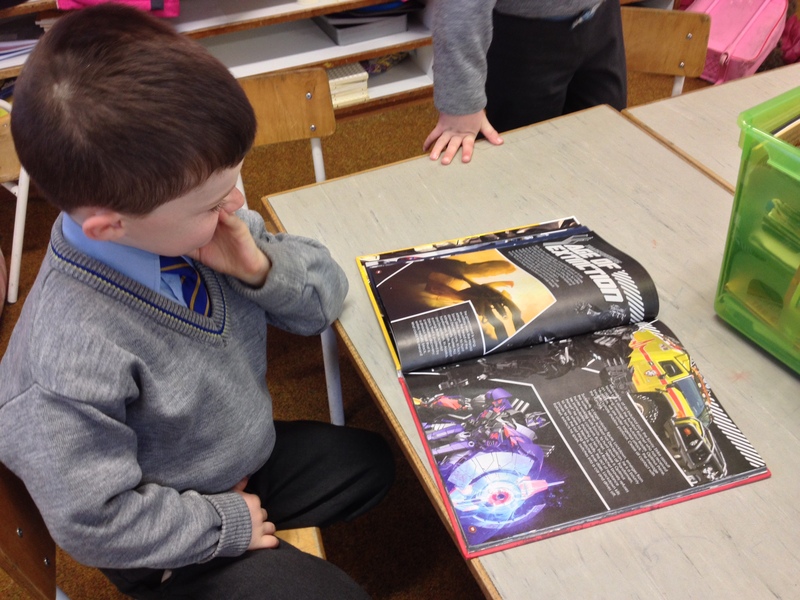 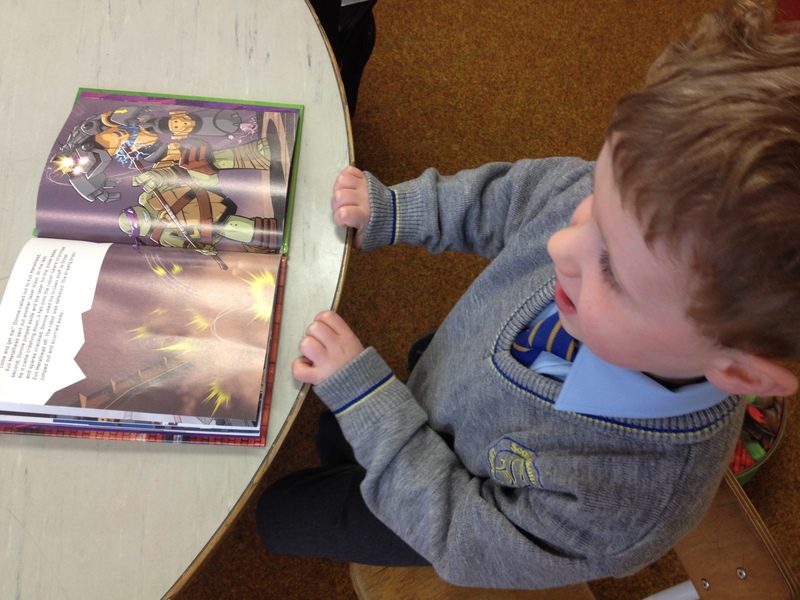 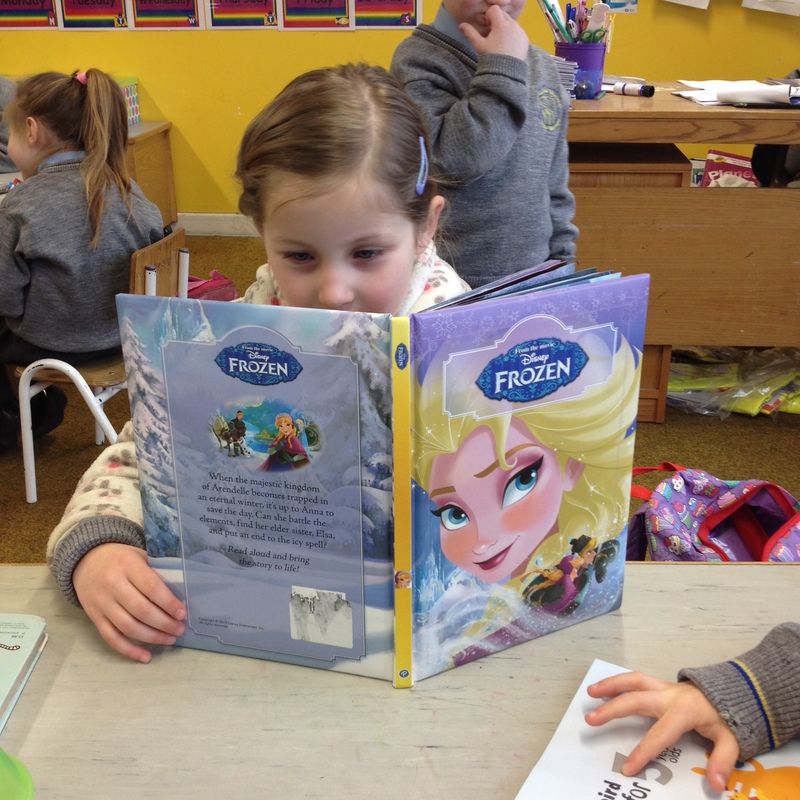 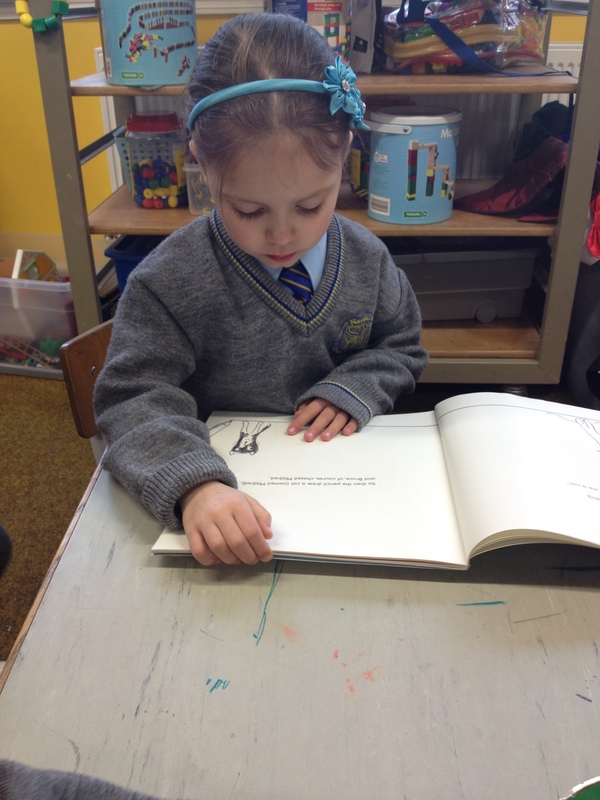 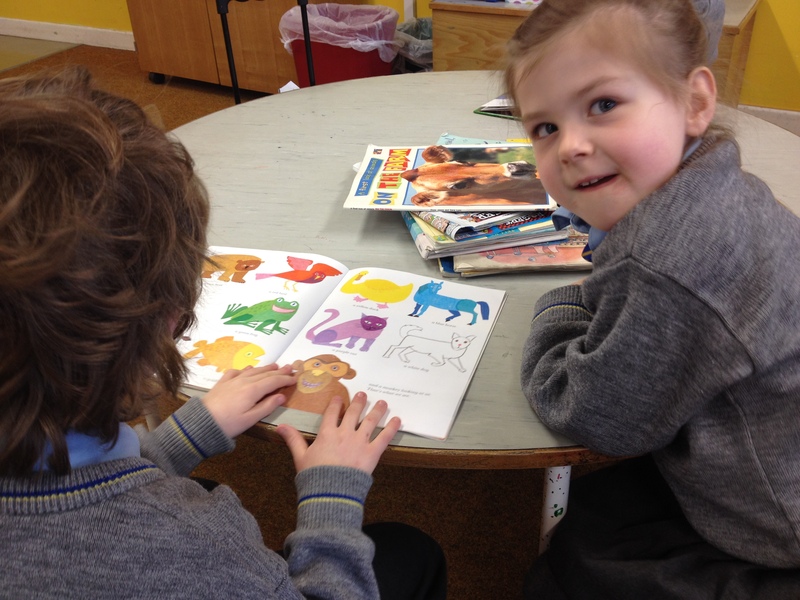 All of the Junior Infants brought in their favourite book and we displayed them in the classroom. 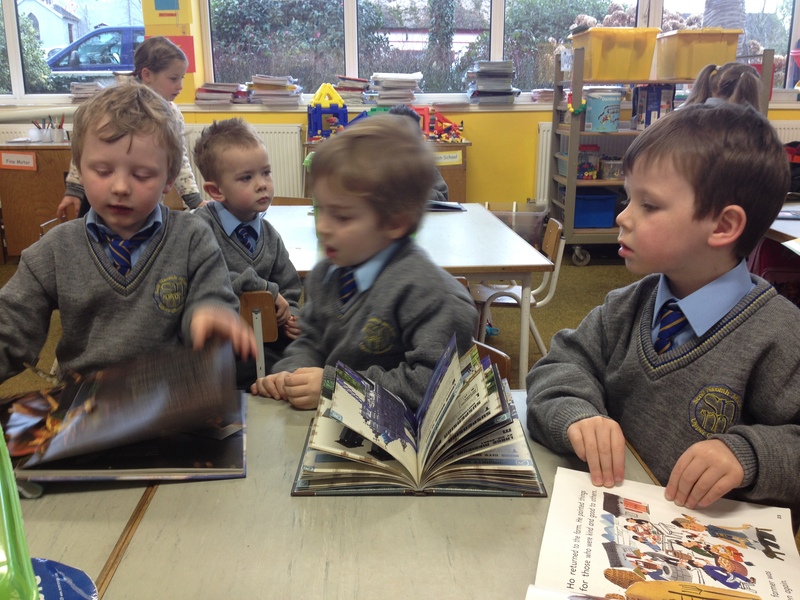 The children spent time reading their books and talking about them with their friends. 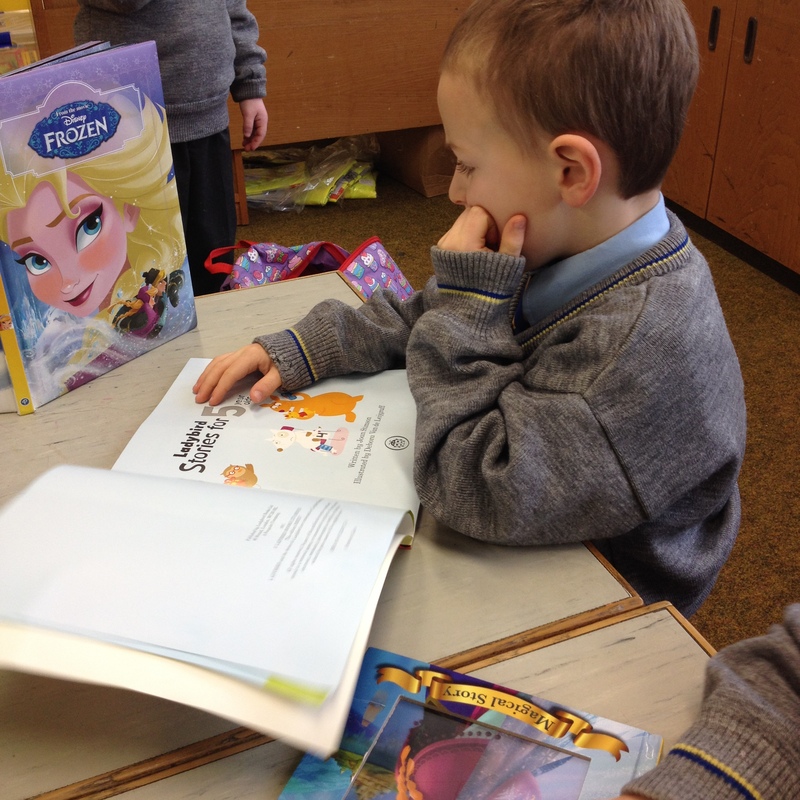 We read lots of the books during the week and the children loved it when their book was chosen to be read. 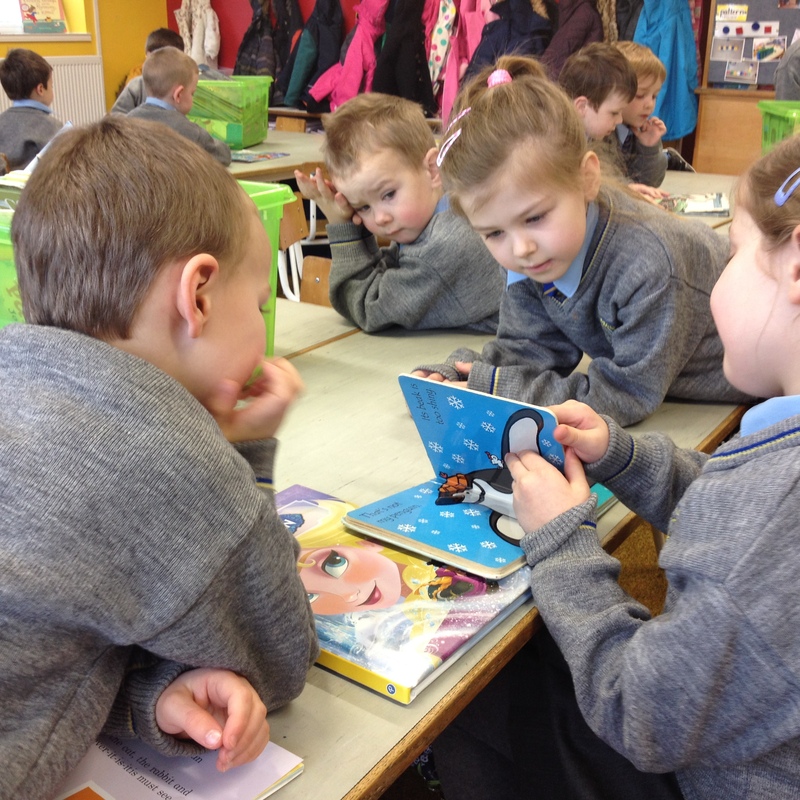 On Thursday, each child received a book token which could be exchanged in book shops for a small, World Book Day book. 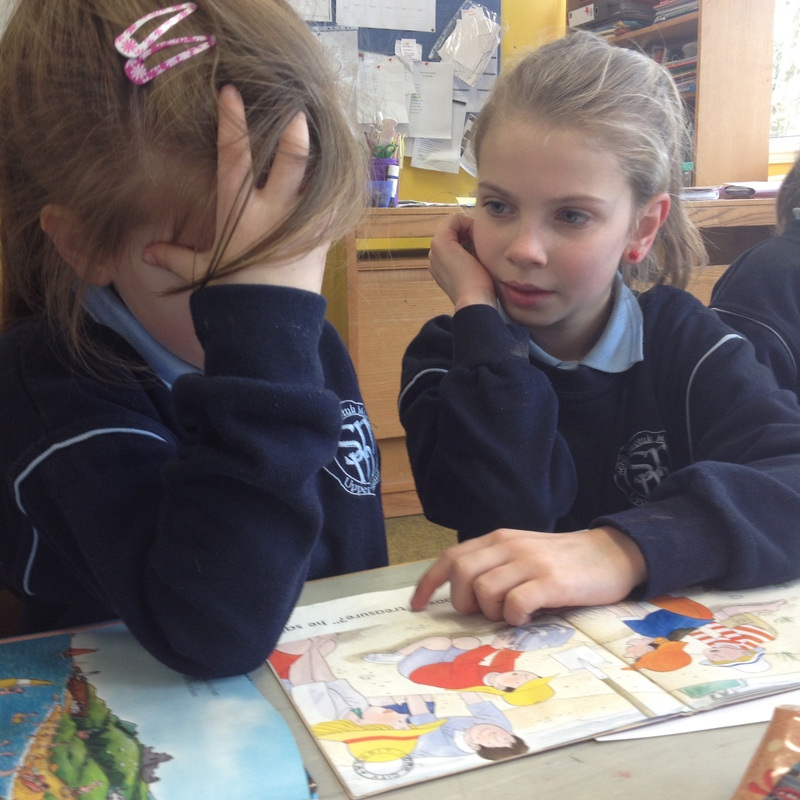 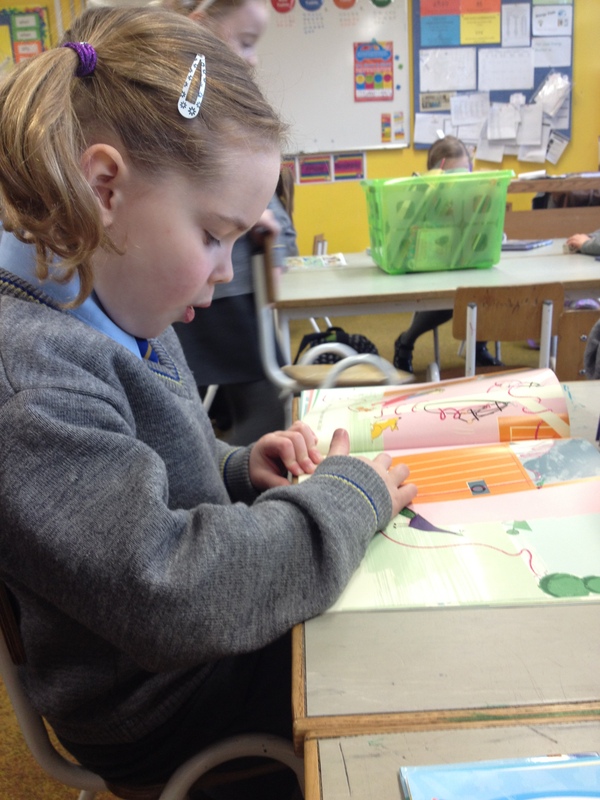 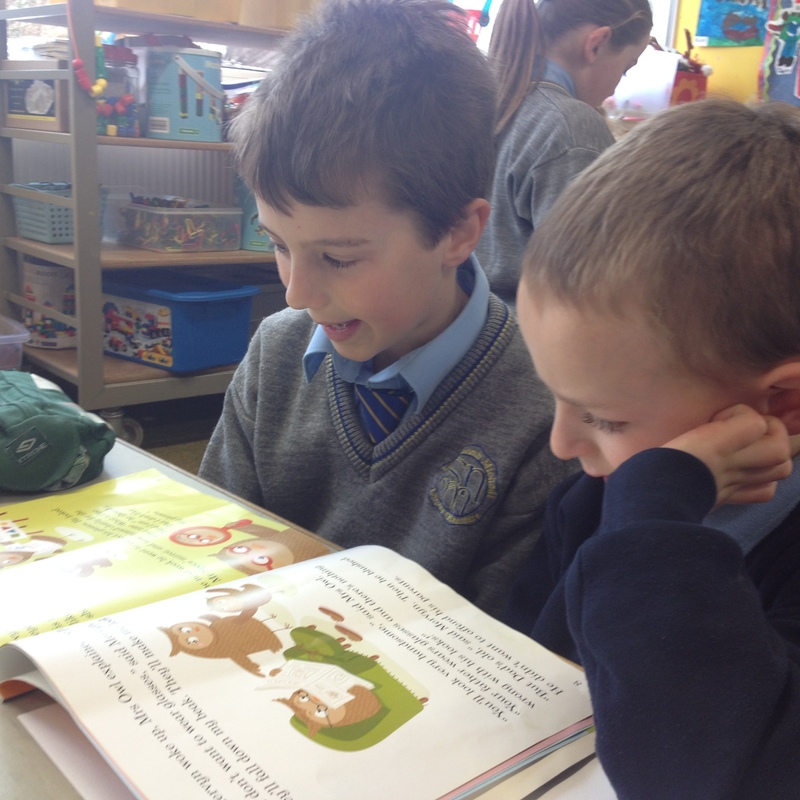 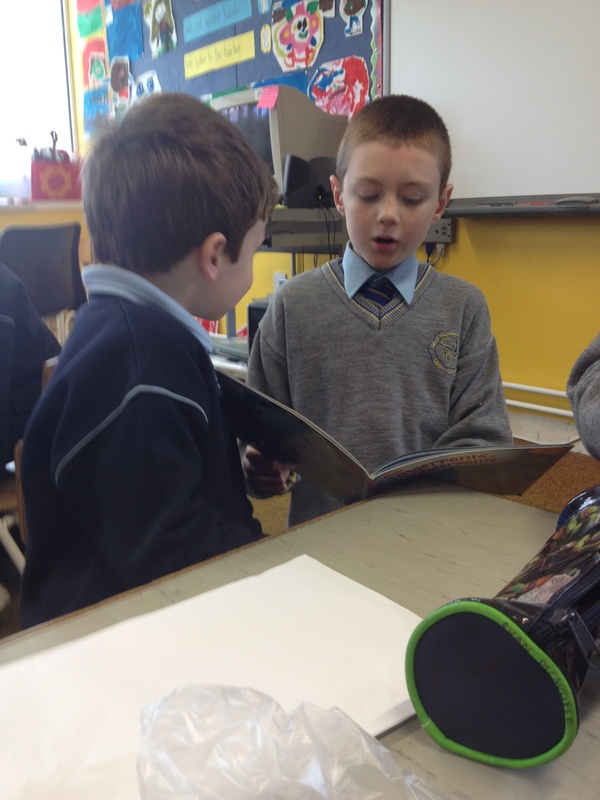 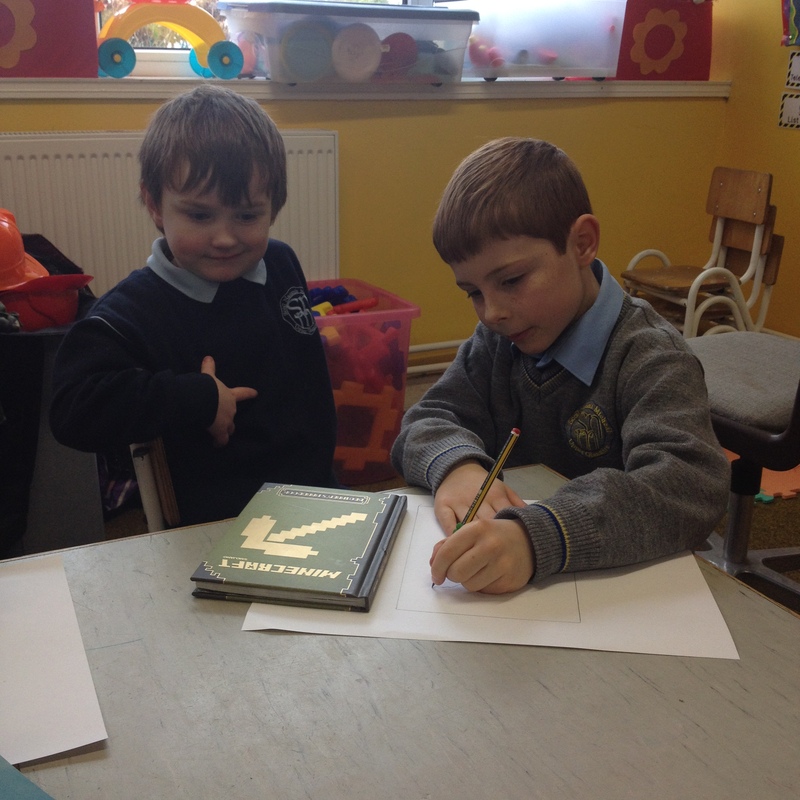 On Friday our Big Buddies from third class joined us to read books and draw a picture.